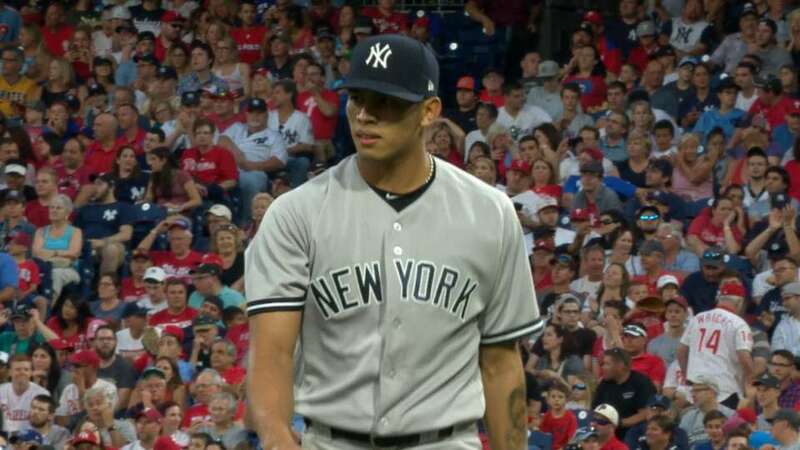 Jonathan Loaisiga showcased his tantalizing ceiling by carrying a no-hitter into the sixth inning of his third big league start and Aaron Judge mashed a laser for his team-leading 20th home run, helping the Yankees snap their three-game losing streak with a 4-2 Interleague victory over the Phillies on Monday evening at Citizens Bank Park. With the clubs meeting in South Philadelphia for the first time since Game 5 of the 2009 World Series, the 23-year-old Loaisiga was terrific, keeping the Phils off the basepaths until the fifth and holding them hitless until Jorge Alfaro singled to open the sixth. Loaisiga walked two and struck out eight over 5 1/3 innings, picking up his second victory.